Posted in: Andy Shrimpton Driving Test Passes, Driving Lesson Windsor, Happy Customers. Beginners, someone who has never driven a car before. Just started, a leaner driver that maybe has had a few hours with Mum or Dad or maybe did not get on with their previous driving instructor and wants to try someone else. Partly trained, had maybe 10 to 15 hours of driving tuition and just wants to start again after a break. 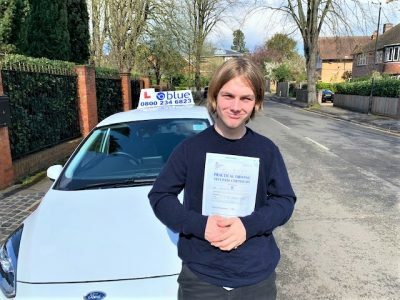 Trained, has had about 40 to 50 hours of driving tuition and maybe has failed a driving test in the past and needs a bit of help to get through the next driving test. 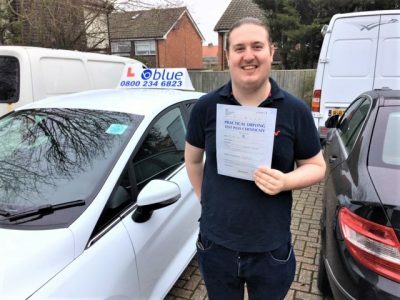 So no matter what your level of ability we at Blue can help you out with a driving course in the Windsor area in Hampshire. We offer some great deals on a range of courses with qualified driving instructors who now the local Windsor area.